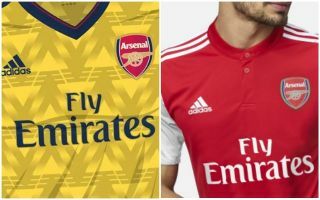 Arsenal fans are delighted with the news that the club have confirmed today – Adidas will replace Puma as their kit sponsors for next season, starting officially on 1 July. The Gunners tweeted the news and many fans on Twitter are now calling for the club to bring back the iconic ‘bruised banana’ kit that they wore between 1991 and 1993. This dates back to another time Adidas made Arsenal’s kits, so who knows if they might be tempted to announce their return in some style by bringing back a modern day version? Several concept designs have done the rounds on the internet in recent times as it’s clearly popular among fans even today. Meanwhile, Twitter is now flooded with supporters responding to today’s news with calls to bring the strip back next season. Puma have not been the most popular kit makers since they replaced Nike as doing the Arsenal kits back in 2014. Hey @Arsenal @adidasUK bring back the bruised banana kit and I'll give you a ton of my money. Even Ian Wright himself sent his old club a friendly nudge!